Robert is a partner of the firm. He litigates civil and commercial litigation matters, including class actions, personal injuries, defective product claims, shareholder disputes, medical malpractice, banking and insurance matters. Robert handles cases for individuals and companies, and has settled and won numerous multi-million dollar cases for his clients. Best Lawyers® has recognized Robert as being among the Best lawyers in Canada, as selected by his peers. 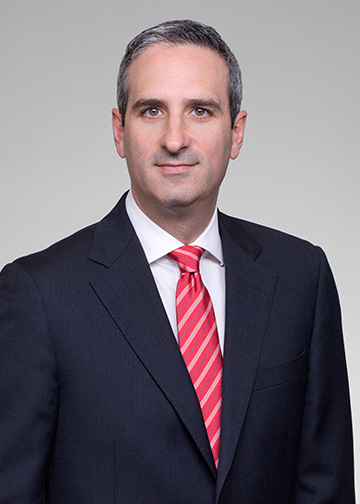 Robert is also guest lecturer at the McGill University Faculty of Law, and a regular speaker at legal conferences in litigation and class action matters. A landmark decision on behalf of numerous victims of sexual abuse by members of the religious order “The Redemptorists”. The Judgment marked the first time in Quebec history that a Court condemned a religious order to pay damages to victims of sexual abuse perpetrated by its members. Robert’s clients recovered $20 million, the largest amount ever awarded in such a case in Quebec history. A multi-million dollar Judgment from the Court of Appeal against a ski hill on behalf of a child who suffered brain injuries during a group ski lesson. The Judgment upheld the largest amount ever awarded in such a case in Quebec history. The settlement of a class action against the Royal Bank of Canada on behalf of numerous victims of a Ponzi scheme perpetrated by Earl Jones, commonly referred to as Montreal’s “mini-Madoff”. Robert’s clients recovered $17 million. A Judgment from the Court of Appeal on behalf of the Bank of Nova Scotia, which condemned the Bank of Montreal to pay more than $12 million in damages following a fraudulent scheme perpetrated by a common customer of the two banks. The successful defense of two American financial institutions which resulted in a Judgment dismissing a claim for more than $10 million brought by the Royal Bank of Canada following a fraudulent scheme perpetrated by a common customer of the financial institutions. The successful settlement of a multi-million dollar lawsuit instituted against Bishop’s University, on behalf of a former student who suffered catastrophic injuries during a football game. The successful settlement of several class actions instituted against religious orders and boarding schools, on behalf of hundreds of men who were sexually abused during their childhood, enabling Robert’s clients to recover in excess of $50 million. The successful settlement of a class action instituted against Johnson & Johnson Inc. and Depuy Orthopaedics Inc. on behalf of patients who received an ASR hip implant system during hip replacement surgery. The Judgment approving the settlement allows Robert’s clients to recover $20 million. A Judgment authorizing a class action against SiriusXM Canada Inc., on behalf of Quebec consumers whose subscription fees were unilaterally increased in contravention of the Consumer Protection Act. A Judgment authorizing a class action against Gilbert Rozon, the former head of Just for Laughs, on behalf of all sexual abuse and sexual harassment victims. Representation of victims claiming millions of dollars to compensate significant bodily injuries suffered as a result of recreational ATV collisions, work accidents, ski accidents, bike accidents and the receipt of defective medical products. Robert frequently works on a contingency fee basis if clients cannot afford to pay legal fees to fund litigation.